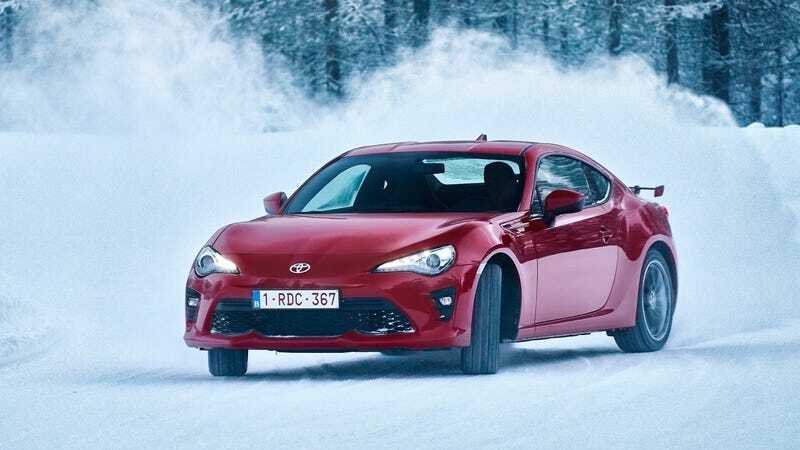 As we near the end of its run, I care less that the Toyota 86 and Subaru BRZ never got crazy turbocharged power the way everyone wanted and more that they were happening again, period. The world needs more small sports cars. Evidently both automakers agree, even as crossovers and trucks take over the world, because all signs lately point to another Toyobaru in the cards. The original GT86, launched in 2011, was co-developed with Subaru alongside the BRZ. It uses Subaru’s flat-four Boxer engine and transmission, and Harrison said it was “a safe assumption” that the next-generation model would retain those links. And in the world of cars, that’s a hell of a lot more solid than the usual “can’t comment on any future product” boilerplate we always get when we ask about anything that isn’t currently sitting in a showroom. Harrison added that the new Toyota Supra isn’t meant to replace the 86, and that the latter has been a great “affordable halo” car for the automaker—especially in the UK. And while it’ll never eclipse RAV4 sales, it’s clearly popular with enthusiasts across the world. I think the demand is there for sure. Toyota and Subaru have long agreed. The former has said for a while it wants a “family” of sports cars with an affordable one at the bottom of the ladder, and cars like the Supra up higher. Subaru too has said it’s definitely moving forward with another BRZ too. The big question to this point has been whether the two companies would work together again on their sports cars, and it looks like that probably will be the case. Which makes sense! Toyota did the Supra with BMW as a means of cutting down on development costs; it’s hard to fathom it would want to do a new 86 entirely in-house or from scratch. Also, the joint venture between the two companies is successful and proven; why start over? Plus, I’m not sure tiny Subaru would have the ability to make a new BRZ without some backup from Toyota. Anyway, we’ll keep an eye out for official confirmation, but for now this seems like good news. Maybe we’ll even get a turbo next time? One can hope.